Aerie Aerie is bras, undies, swim and more for every girl. #AerieREAL is more than no retouching. It’s about loving the real you. It’s about empowerment. We want everyone to feel confident inside and out. Find something that makes you feel good in stores, at Aerie.com or in the AEO | Aerie App. CharityChoice Gift Cards…when meaningful matters. Use your points for the greater good by selecting CharityChoice donation gift cards. You may designate the funds for up to three charities of your choice, exclusively from our online list of over 250 major charities and many local causes, totaling over 1000 in all. The broad list of carefully selected, renowned charities is conveniently organized into 12 categories to review, including environment, hunger and poverty, disaster relief, health and disease, children, military charities, disabilities, the elderly and more. For more information and a complete list of the charities available for selection, visit www.charitygiftcertificates.org. One card. A world of possibilities! A Disney Gift Card eGift can be used anywhere the Disney Gift Card is accepted, including: •	Walt Disney World® Resort •	Disneyland® Resort •	Disney Cruise Line •	Disney store locations within the US, Canada, and Puerto Rico •	shopDisney.com •	Shop Disney Parks app •	Aulani, A Disney Resort & Spa •	Disney’s Beach Resorts •	Adventures by Disney® •	Disney Photopass® Disney Parks and Resorts Use for tickets, hotels, entertainment, shopping, dining and more at select locations throughout the Walt Disney World® and Disneyland® Resorts. Shopping Use nationwide at Disney store and online at shopDisney.com for clothes, movies, collectibles, and more. Vacations Use for reservations at Disney Resorts and aboard Disney Cruise Line. To check your balance, please visit DisneyGiftCard.com/Manage Questions? Please go to DisneyGiftCard.com/ContactUs. 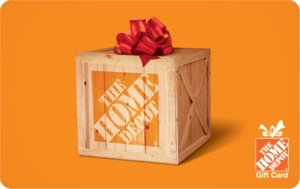 To help us provide the best service, please have your Gift Card Number ready (located above). Domino’s® is more than pizza! Try our mouth-watering Bread Twists, Oven Baked Sandwiches, Pastas, Chicken, pizza & more. Order online at www.dominos.com for lunch, dinner or for your next event. No expiration date and no service fees. 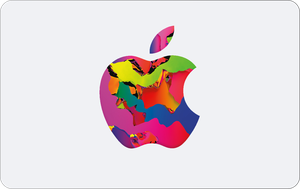 Can be redeemed at nearly 5,500 stores in the United States. For full details, visit www.dominos.com. Points allow you to buy virtual items to enhance your Webkinz World experience. Our online stores are loaded with hundreds and hundreds of wonderful and exciting products to help you customize your Webkinz world. A Hulu subscription offers unlimited streaming of today’s hottest shows with next-day air. Watch This is Us, Empire, The Voice, plus get exclusive past seasons of Seinfeld, South Park, The Golden Girls, and more. Stream originals like the Emmy Award®-winning The Handmaid’s Tale, get new movies all the time, and plenty of stuff for the kids—including every season of Curious George. Activate on your favorite supported devices to watch wherever you are. Limited Commercials and No Commercials plans available, starting at $7.99/month. Live TV plans start at $39.99/month. IMVU, where style fanatics, fashion mavens and people from around the world meet! Go wild in the IMVU Shop. Customize your avatar and show off your new look to your friends. From clothes and shoes, to furniture and pets, there are millions of ways to make your avatar unique. Fanatics.com and Ladyfanatics.com offers more than 200,000 products from over 600 teams across multiple leagues including NCAA, NFL, MLB, NBA, NHL, NASCAR, MMA, and more. We carry top quality merchandise from the most trusted brand names in sports fan gear such as Nike, Reebok, adidas, Zephyr, Russell, Under Armour, Majestic and more. 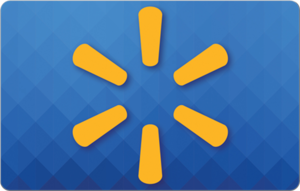 With a Sam’s Club eGift Card, you get low prices every day on thousands of popular products in stores or online at Samsclub.com. You’ll find a wide assortment of top electronics, toys, home essentials and more. Plus, cards don’t expire and you never pay any fees. The best Sports Gifts. Sports gifts and collectibles from the biggest names in sports! 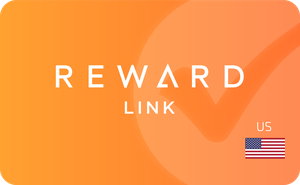 A Reward Link is simply the easiest way to give the gift of choice. You’ll find dozens of premium gift cards, and with digital delivery you will receive the reward value instantly. 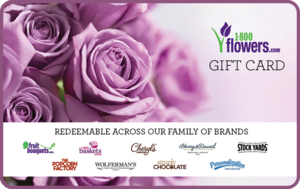 You are a few simple clicks away from choosing the gift card you really want. Target eGiftCards let you shop for thousands of items at more than 1,700 Target and SuperTarget stores in the U.S., and at Target.com. Now you can even save Target eGiftCards to your web-enabled mobile phone. 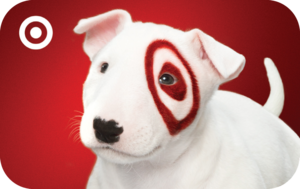 Just text GIFTCARD to 827438 (TARGET), or visit m.target.com/gc from your phone. Standard message and data rates may apply. Choose from thousands of movies, all available instantly. Getting your $5 Movie Credits is easy. Stream directly to your PlayStation®3, Xbox 360®, Blue-ray player, VUDU-enabled TV, iPad® or Computer. Friendzy apps are the most fun and interactive educational apps in the market. They allow students to learn all school subjects using all the excitement and social networking components of popular video games that kids love. They are proven to help students do better in school as kids actually love to learn while playing with Friendzy apps.